Atherosclerotic plaques are highly heterogeneous, nonlinear materials with uncharacteristic structural behaviors. It is well known that mechanics of atherosclerotic plaques significantly depend on plaque geometry, location, composition, and loading conditions. There is no question that atherosclerotic plaques are viscoelastic. Plaques are characterized as the buildup of low-density lipoprotein cholesterol, macrophages, monocytes, and foam cells at a place of inflammation inside arterial walls. Lipid core and fibrous cap are the two major ingredients that are frequently used for the identification of main constituting quantities of atherosclerotic plaques. The lipid core contains of debris from dead cells, esterified cholesterol and cholesterol crystals. The fibrous cap contains smooth muscle cells and collagen fibers. All these materials contribute to the viscoelastic properties of atherosclerotic plaques. Computational studies have shown great potential to characterize this mechanical behavior. Different types of plaque morphologies and mechanical properties have been used in a computational platform to estimate the stability of rupture-prone plaques and detect their locations. 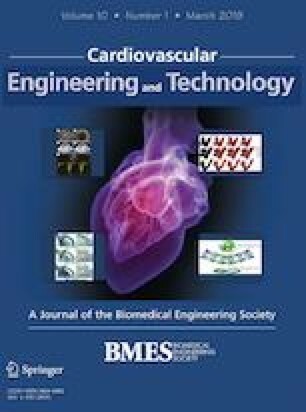 In this study for the first time to the best of authors' knowledge, we hypothesize that heart rate is also one of the major factors that should be taken into account while mechanics of plaques is studied. We propose a tunable viscoelastic constitutive material model for the fibrous cap tissue in order to calculate the peak cap stress in normal physiological (dynamic) conditions while heart rate changes from 60 bpm to 150 bpm in 2D plane stress models. A critical discussion on stress distribution in the fibrous cap area is made with respect to heart rate for the first time. Results strongly suggest the viscoelastic properties of the fibrous cap tissue and heart rate together play a major role in the estimation of the pick cap stress values. The results of current study may provide a better understanding on the mechanics of vulnerable atherosclerotic plaques and that any experimental methods assessing the viscoelasticity of plaque composition during progression are highly desirable. Associate Editor Ajit P. Yoganathan oversaw the review of this article. The authors acknowledge the University of British Columbia and NSERC (Discovery Grant) for financial support. NSERC/Discovery Grant and University of British Columbia.